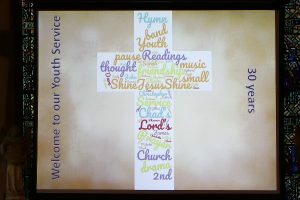 A Youth Service is held on the 2nd Sunday of each month at 6.30pm. 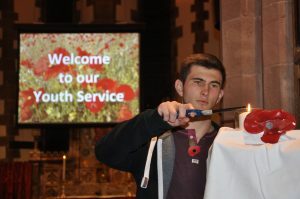 The service is short, lasting 30 to 45 minutes and is run in a very relaxed atmosphere and is led by the younger members of the church. 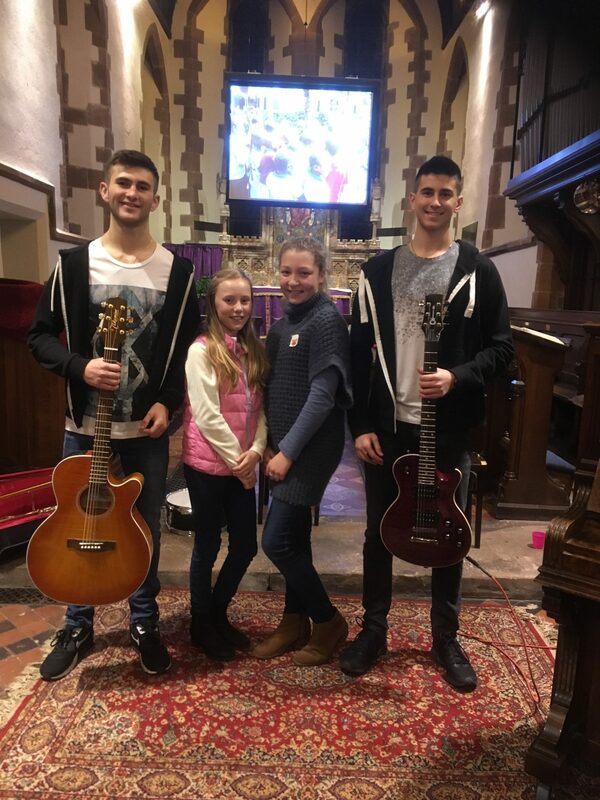 We welcome teenagers who would like to participate in the musical or drama content of the service. If you play a musical instrument and would like to join up with others and enjoy the satisfaction of playing in a small band, why not come along and join in the fun? All are welcome. For more information, contact Barbara Tritton on 01902 700065. 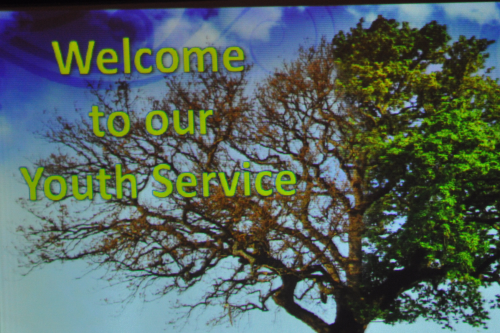 The Youth Service on 10th June 2018 was attended by a large congregation, including many former members of the Youth Group, to celebrate its 30th Anniversary. More details and photographs are here. On Sunday 10th December 2017, amidst heavy snow, the Youth Group performed a Sponsored Play and Sing to support the partnership between St Chad’s School and Mwiyenga ACK Primary School in Kenya. In April 2017 Alison and Milly Colin-Stokes gave the Pause for Thought in which they shared their recent experience visiting Mwiyenga ACK Primary School in Kenya as part of the partmership with St. Chad’s School. Read more here. In February and March 2017 the lack of heating in the church meant that the evening services were held in the Upper Room of the Pigot Arms. 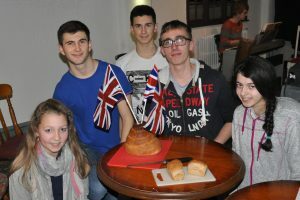 Here are members of the group rehearsing a sketch “The Great Pattingham Bake -Off” for the service in February. It was making the point that the big , flashy loaf of bread didn’t win as the cook omitted the salt. Photos of the service in February 2007 are here.